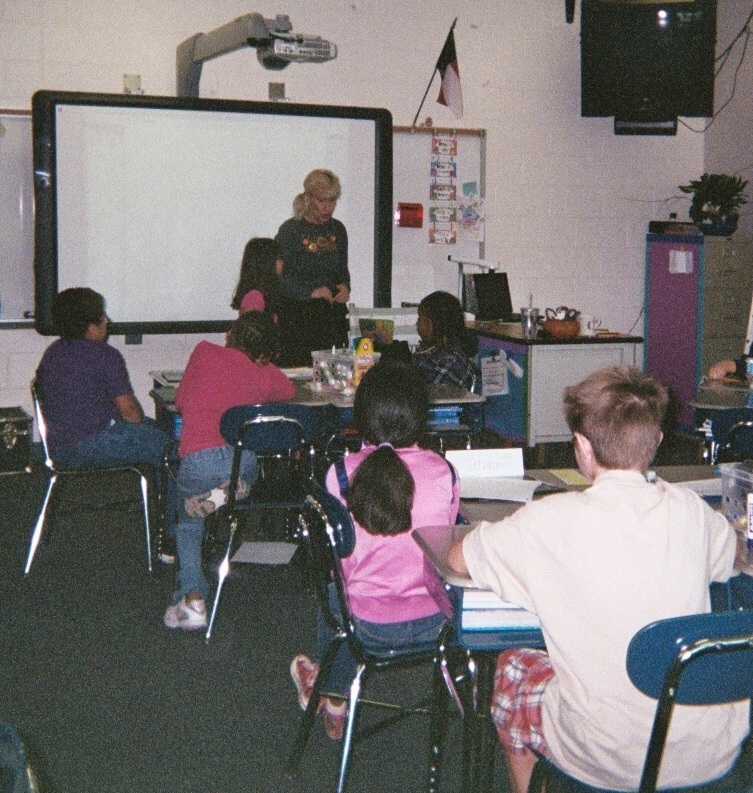 Home » Posts » Attentionology for K-5 Teachers » Become the Classroom of the Traveling Story! A couple of weeks ago I spent a little free time between classes rummaging through old educational magazines and journals on the Professional Shelves of the school’s Media Center. The trick: Become the Classroom of the Traveling Story. The tools: Small toy airplanes, like you see in my blog pic below. Storytelling Airplanes ready for takeoff on a journey around the world! Let me elaborate: The teacher’s storytelling plane is the larger red one. The teacher’s plane starts the storytelling journey and leads the “squadron” of smaller aircraft. Student storytelling planes are the smaller ones, like the blue airplane that looks ready to taxi down the paper runway in this pic. I suggest buying six inexpensive plastic or foam airplanes, preferably in different colors so that each plane has its’ own identification. 1) Make the airplane look like it’s taking off from your table or desk, like you see in my blog pic here. The first time you do this, read a short printed story that you’ve pre-selected. It’s your option to set the plane down while you read the story or keep it “flying” with one hand around the classroom as you hold the story page in your other hand. The “flying” plane is an attention catcher – keeper! 2) Tell the class that you want them to see this…this is what traveling stories will look like when each first takes flight. Every time they see you make your teacher’s airplane take off you’re signaling the start of another traveling story. 3) Explain that your airplane will always be the leader. BUT, your Classroom of the Traveling Story will be even more special the next time your teacher’s plane takes off. Why? Because you will all be making up stories, not reading ones already written. You’ll need student co-storytellers to follow the leader and help pilot the story as it travels. 4) Tell the class that you’ll pass out as many of the six smaller toy airplanes as you decide to use, one to each “assistant storytelling pilot.” The number will depend on (your grade level and) the time you have for the activity on traveling story days. Of course, the more planes, the more complex the story will become. like you see in my blog pic here. Kids love this! 6) When they hear their color, they need to pick up the story, make up the next part to tell what happens. Demonstrate what you mean. For example, you might say, “Red Leader to Blue Beamer, pick up the story and travel on!” The student holding the smaller blue airplane will start speaking, and on the story goes. Round Robin Storytelling, like this “officially” dates back to the nineteenth century, according to research I’ve read. Round Robin collaborative novels, with different authors writing a chapter each, later became popular, especially with science fiction. Today, you can find Round Robin Stories and ideas for their development online. Just Google children’s round robin stories. The Classroom of the Traveling Story with toy airplanes obviously lends itself to fiction. It would be impossible for a “squadron” of storytellers to know and speak a single truth! One of the big benefits in this kind of class activity is the inclusiveness. There are no right or wrong answers with traveling stories. However, this activity works best when the teacher reminds the student “story pilots” that they need to make up transition sentences that connect their part of the story to what’s already been presented. Point out that transition sentences help the listener understand when there’s a change of story setting, the introduction of a new character, or an addition to the main idea. This helps students develop strong writing skills. 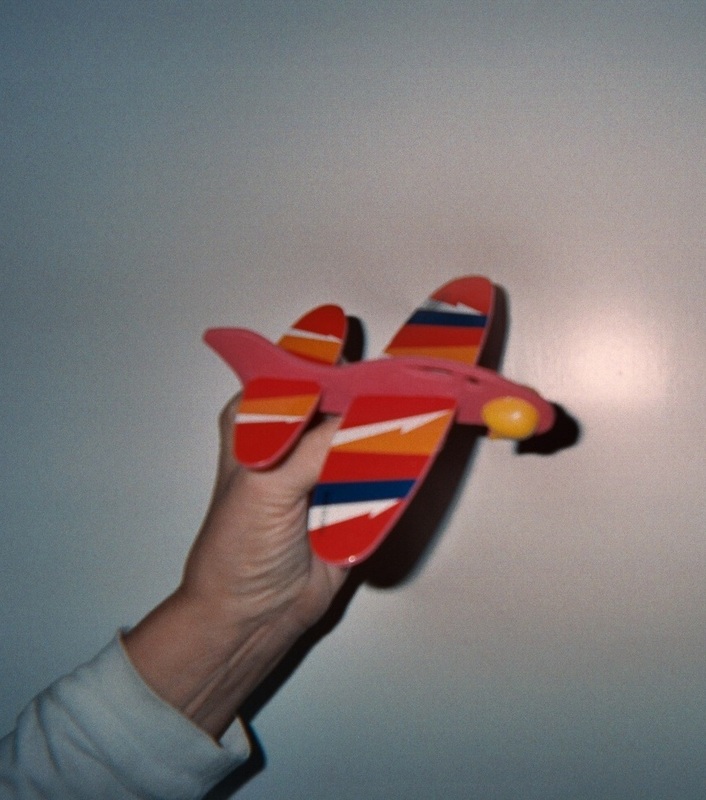 1) Set up the same basic plan, described above, for using toy airplanes in storytelling. 2) Explain to the class that this time each “story pilot” will make up a different story but use the same beginning in each new paragraph to travel the world! 3) Start the first story with the teacher’s lead plane “flying.” For example, you might begin with, “The best place in the world is on a float in the middle of a beautiful lake on a warm sunny day when…” and you finish your part. 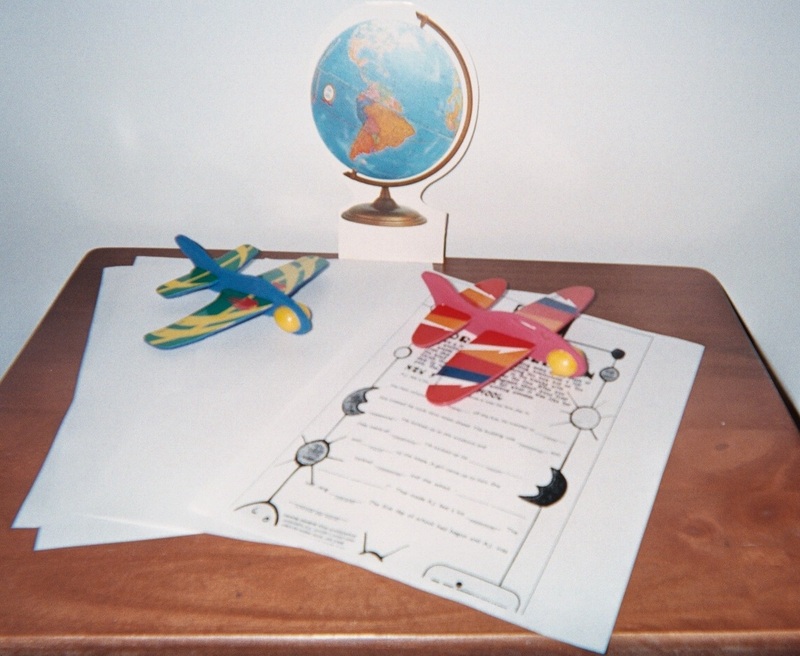 Then you say, “Leader to Yellow Striper, add a paragraph to make the story travel on.” The student with the yellow toy airplane would start her/his story like this, “The best place in the world is…” and so on. 4) This variation on traveling stories works for non-fiction and fiction. Okay, Attentionology readers, let’s start something really big! Let’s make our global community of teachers a Classroom of the Traveling Story! Attentionology is now being read in 99 countries around the world. Please send this idea to other teachers for us all to collaborate on a story. I’ll be happy to collect story bits as they come in, edit them into a big story, credit all writers, and publish the finished story on my blog! We’ll become a borderless Classroom of the Traveling Story! How to Start Our Global Story: Send the link to this post (http://goo.gl/xHc5f) to friends and associates. Anyone that wants to participate, please first send a comment, then we can communicate by e-mail. Let’s get a traveling story rolling, keep our story flowing, add in to keep it growing…magic! 5 Pings/Trackbacks for "Become the Classroom of the Traveling Story!"